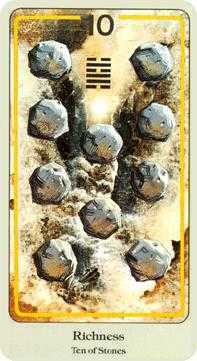 You are required to meet obligations. 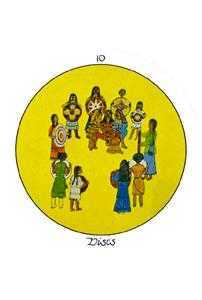 The Ten of this suit represents the final result of cumulative efforts -- perhaps after generations of effort -- resulting in such abundance that it directly and indirectly supports a lot of people. 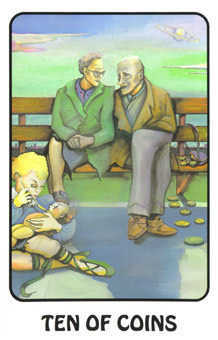 One layer of meaning refers to the pride of supporting your own lineage of well-loved souls. 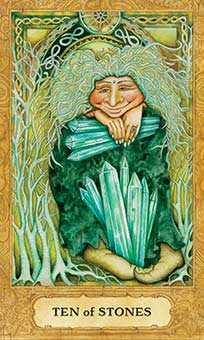 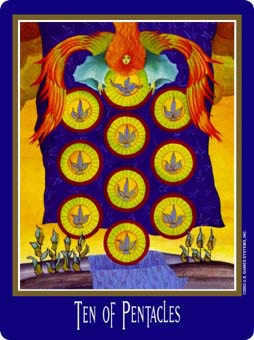 Imagine a flow of abundant resources so abundant that you are filled with not only pride but self-respect and gratitude. 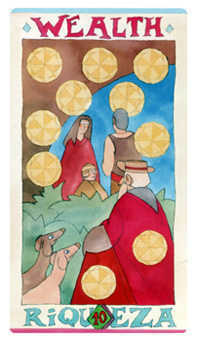 Such bounty can impact the destiny of many families and generations. 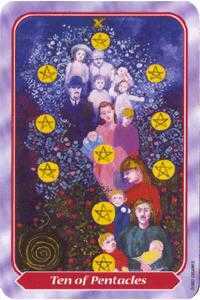 Nobility obligates is possessors, and the obligation must be passed down from generation to generation along with the abundance and freedom. 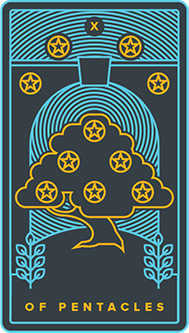 You have the potential power to be a benefactor. 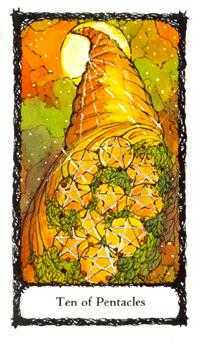 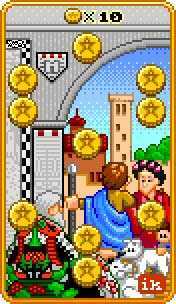 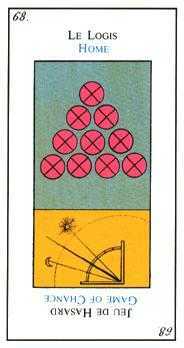 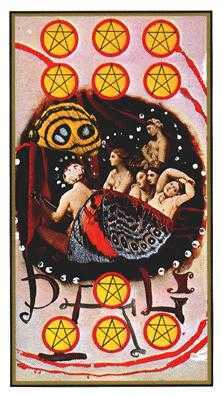 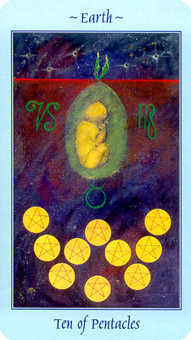 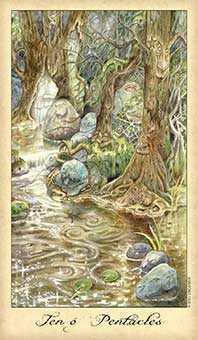 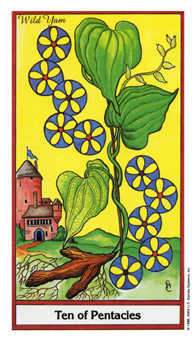 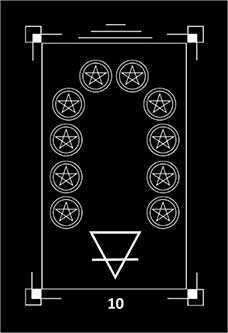 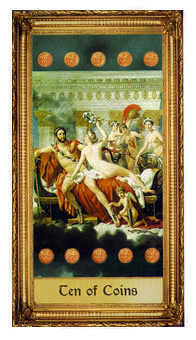 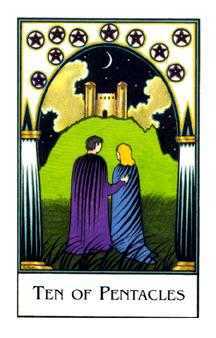 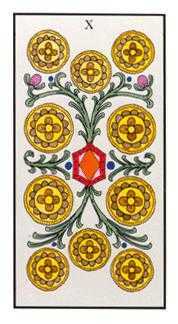 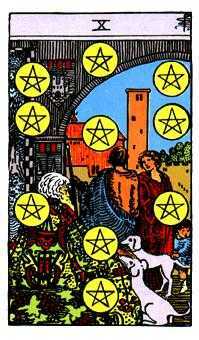 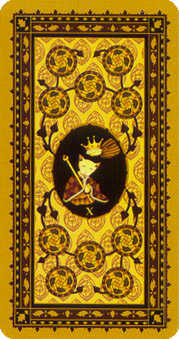 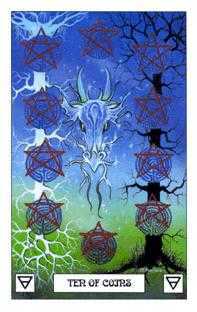 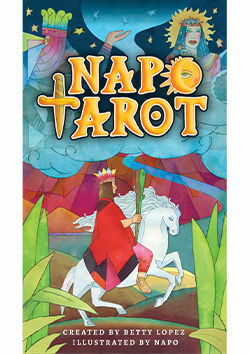 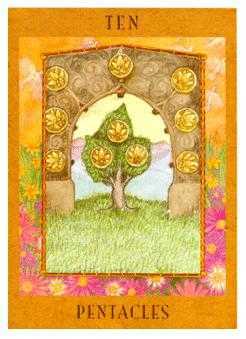 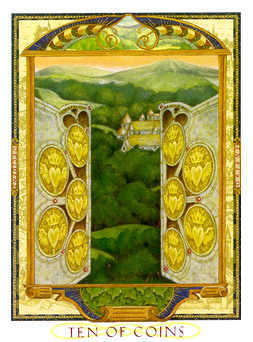 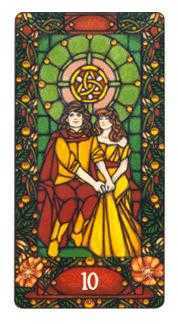 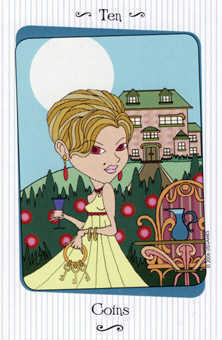 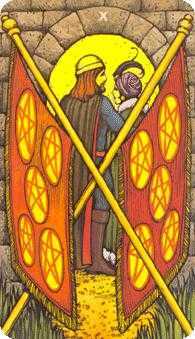 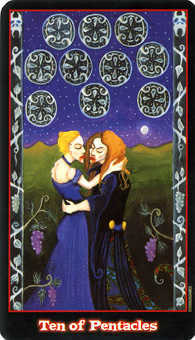 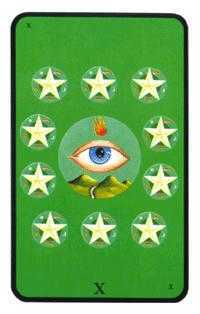 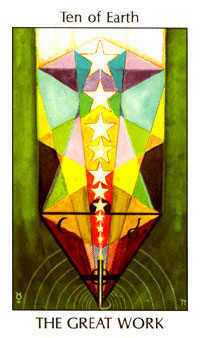 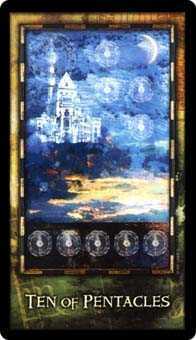 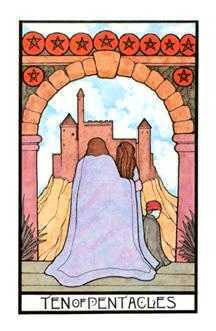 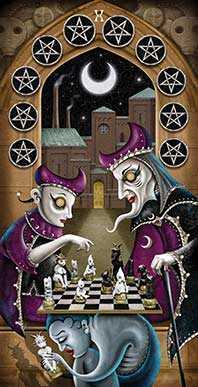 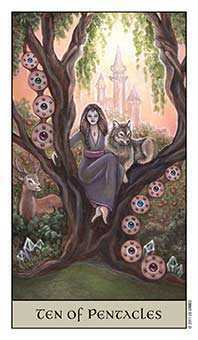 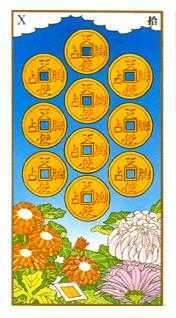 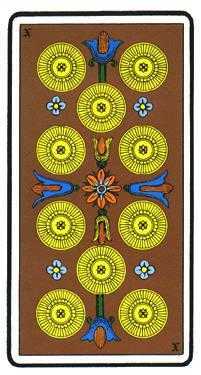 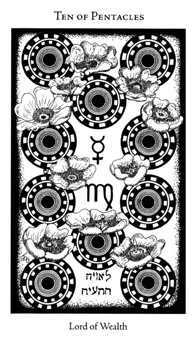 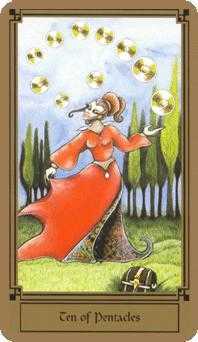 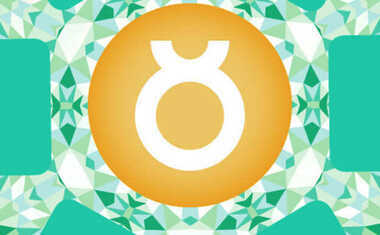 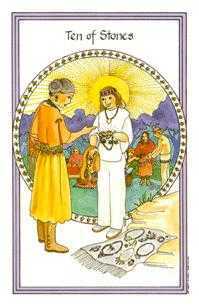 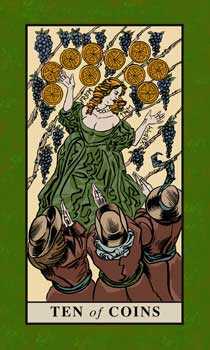 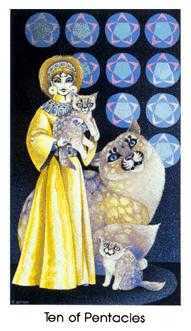 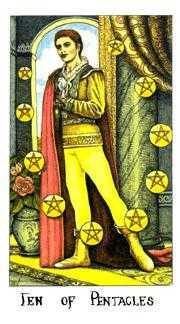 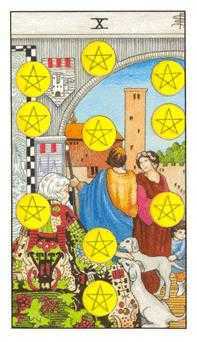 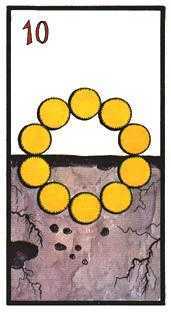 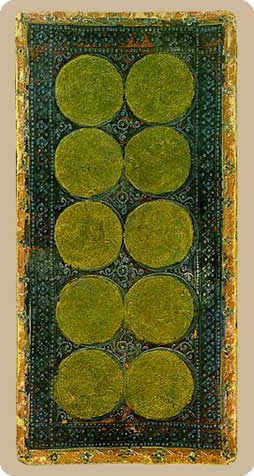 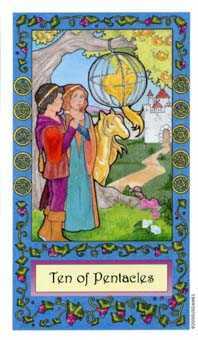 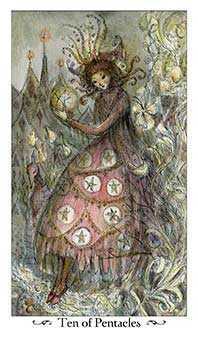 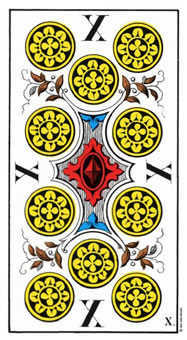 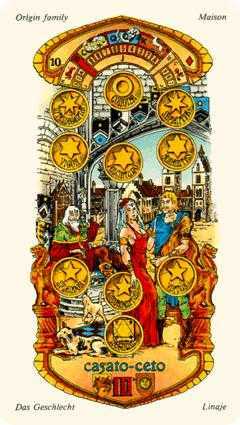 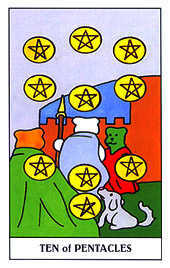 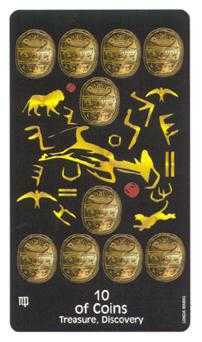 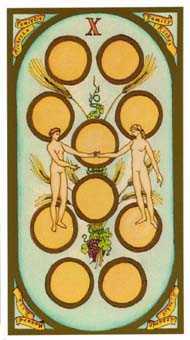 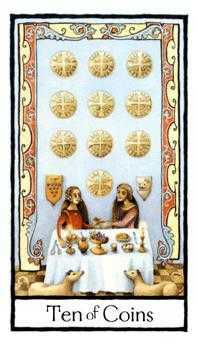 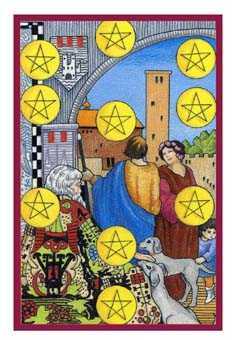 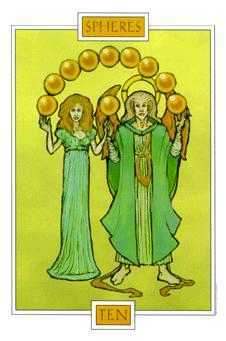 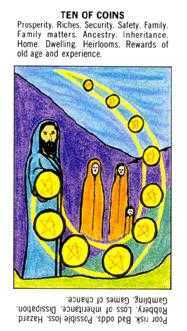 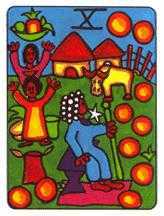 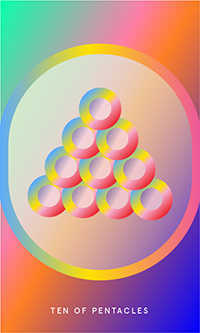 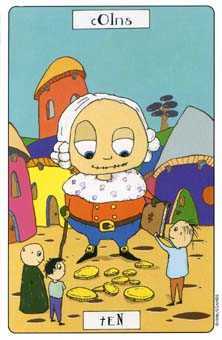 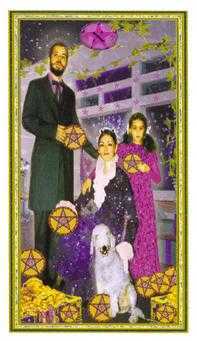 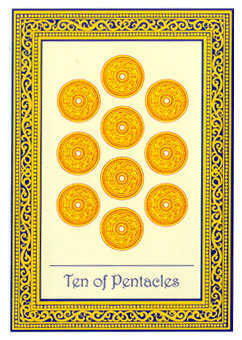 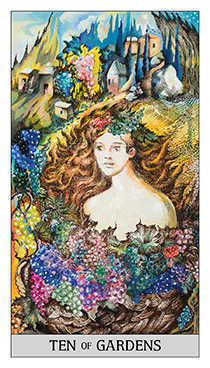 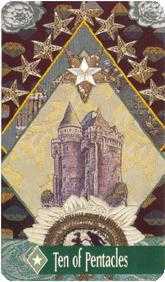 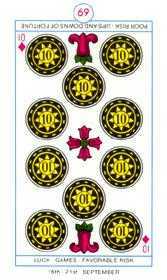 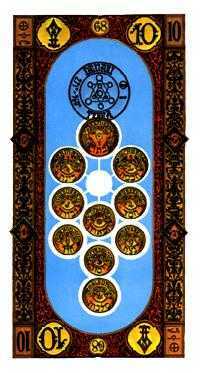 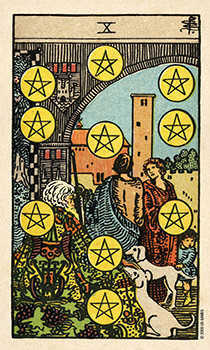 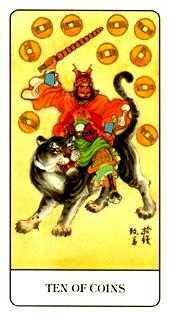 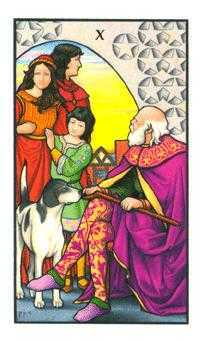 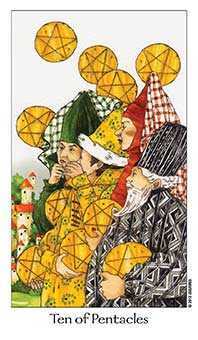 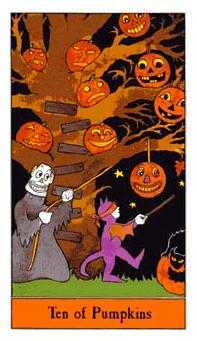 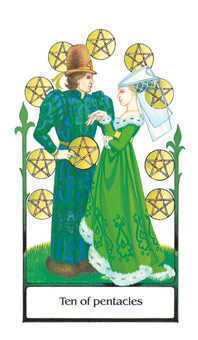 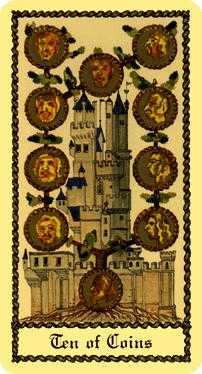 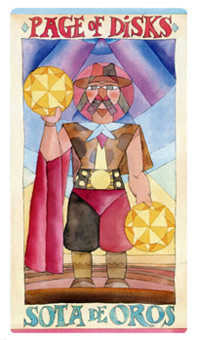 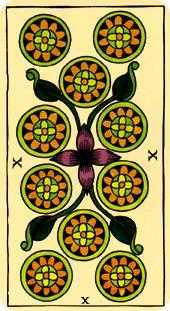 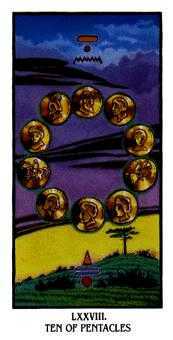 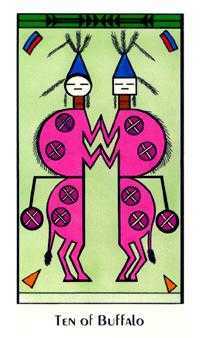 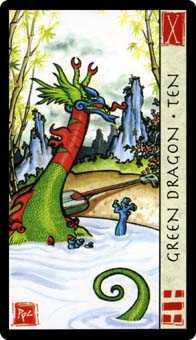 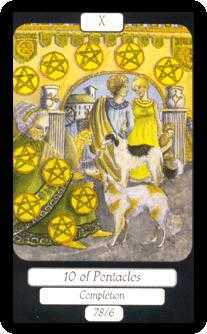 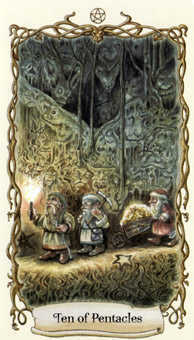 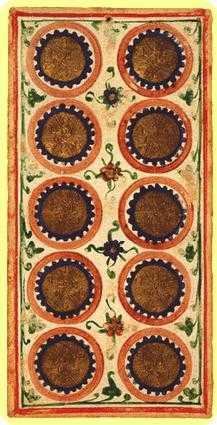 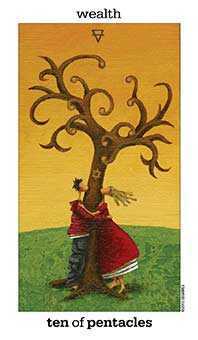 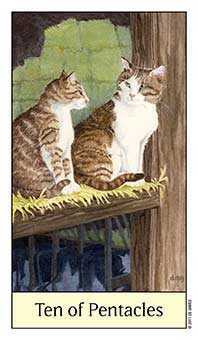 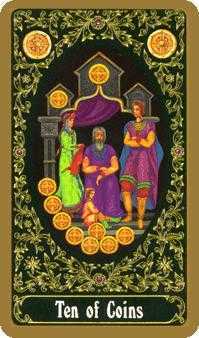 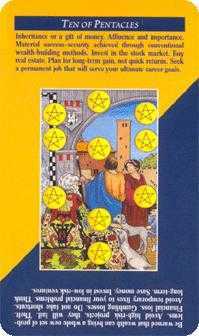 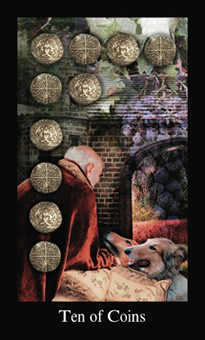 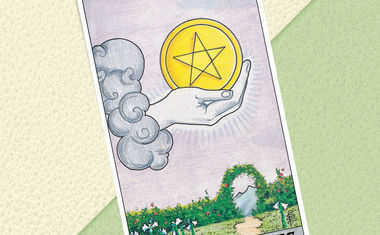 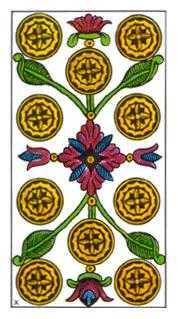 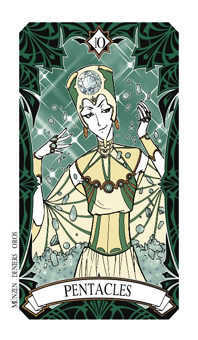 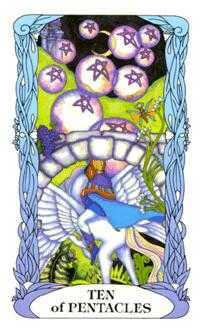 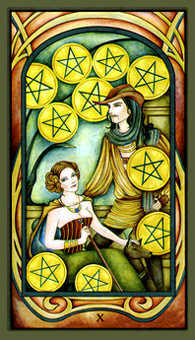 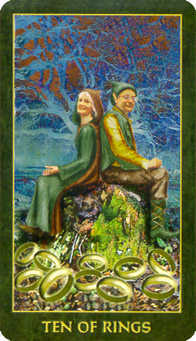 The Ten of Coins in this position advises that you think of yourself as one who may be of great benefit to people. 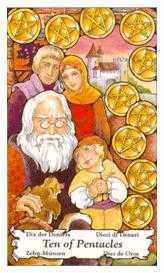 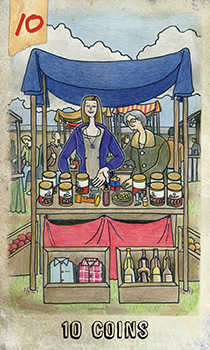 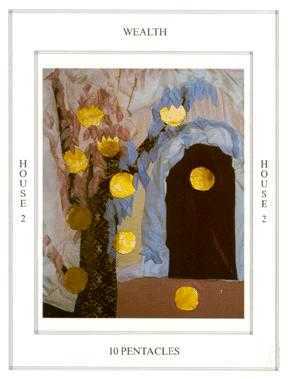 No matter whether it be a service, an invention or an idea -- you know you are holding a storehouse of value. 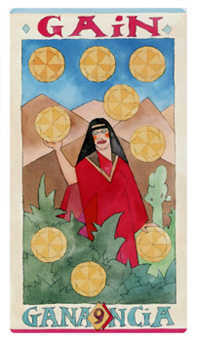 Your potential treasure is enough to take care of you and yours for a long time. 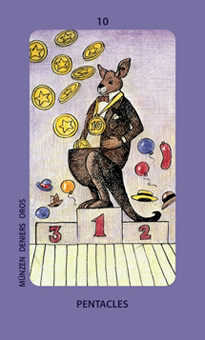 Exactly how are you going to administer the rewards of your talent? 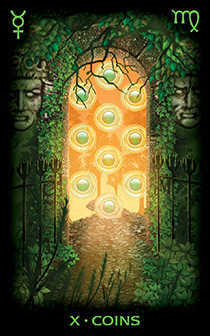 Recall the time when you began this current path or endeavor. 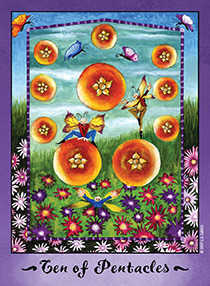 Remember your sincerity, your innocence and your original vision. 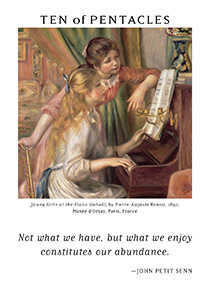 Can you reproduce success and sustain inspiration as the administrator of your present abundance? 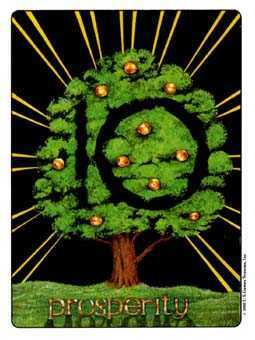 Think of every act of spending and investing and securing as the sowing of seed that will sprout and produce another money tree in somebody else's yard. 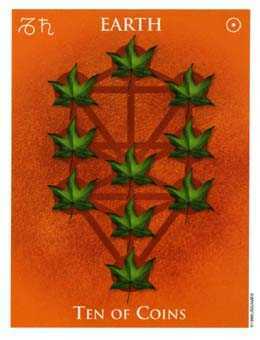 How can you get really clever and inventive at throwing those seeds? 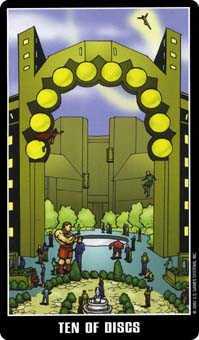 This is your next assignment.